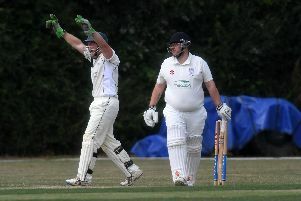 A remarkable double-century from Kieran Lampard guided New Bradwell to a vital victory over fellow Division 1 relegation scrappers New City. While his team-mates faltered around him, Lampard blasted a phenomenal 203 from just 110 balls at the top of the innings. His rapid hitting consisted of 23 fours and a sensational 12 maximums, and though he had little in the way of support from the rest of the New Bradwell order - fellow opener Chris Timms was the next highest scorer with 18 - New Bradwell still ended with a mighty 331-9 come the close. 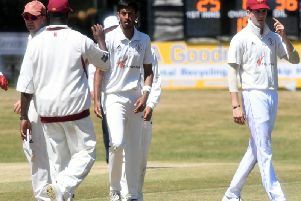 For New City, it was a long session in the field, with Viral Shah the pick of the bowlers as he took 3-56. In reply, New Bradwell got off to a flying start, reducing New City to 42-4 before a recovery in the middle order, thanks to Vishal Naik’s 99 not out off just 67 balls, but Mohammed Shahid’s 4-43 helped reduced the home side for 193, well short of victory. Both sides remain in the bottom two, though New Bradwell have opened up a gap to New City at the foot of the table.